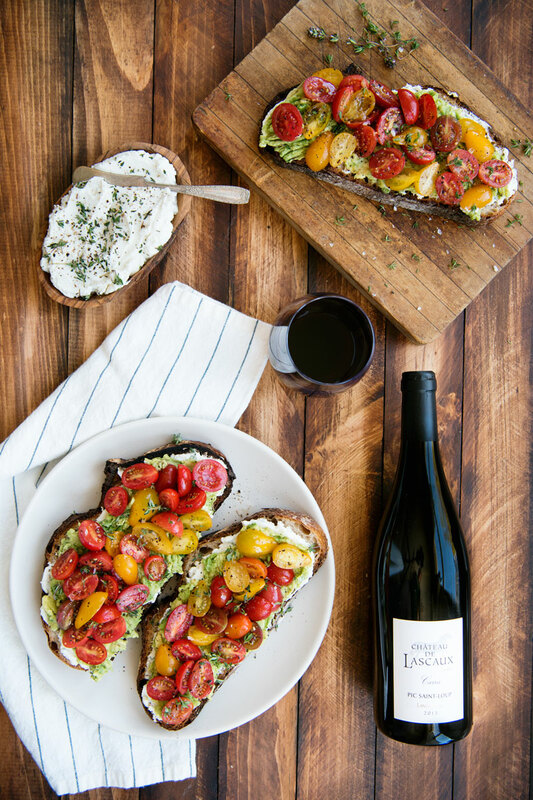 Avocado toast gets a hearty upgrade with thyme, tomatoes and ricotta cheese. 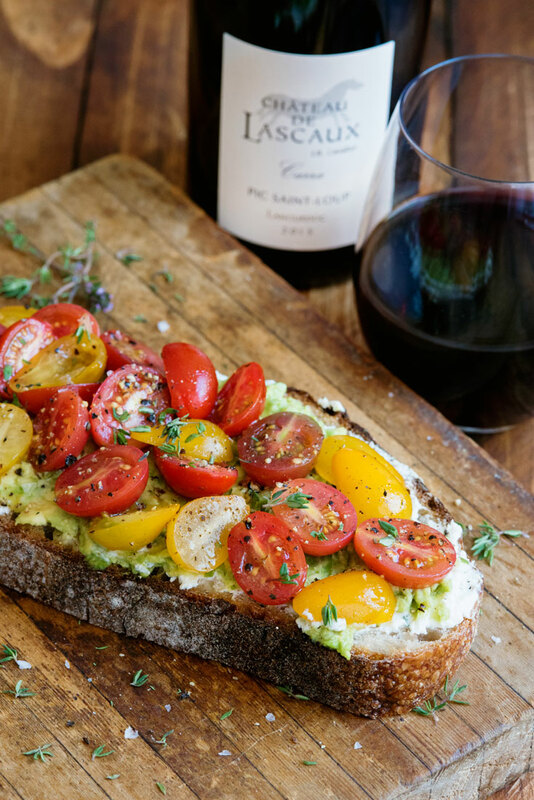 It’s easy to make and great for breakfast, or breakfast for dinner, especially when paired with Château de Lascaux Carra AOP Pic Saint-Loup wine from the Languedoc wine region in the south of France. 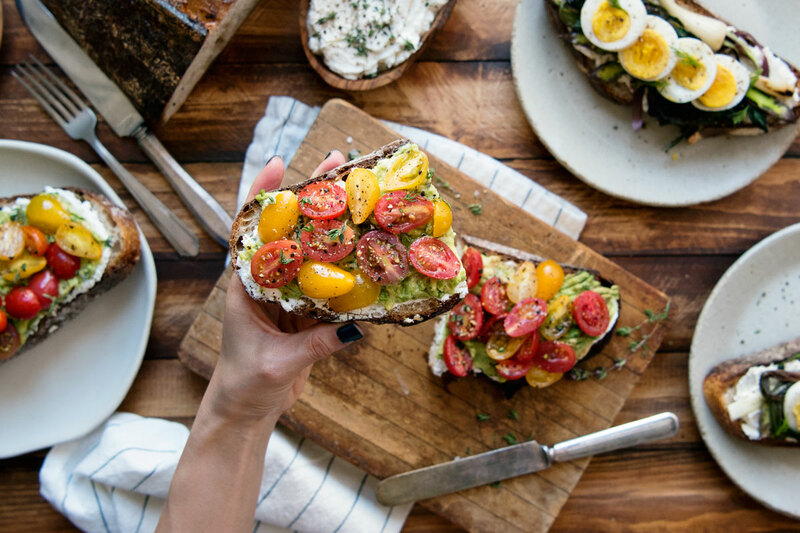 I think we can officially say avocado toast is a thing, not just a trend. It’s become a permanent brunch staple, joining the ranks of classics like pancakes and egg scrambles. I would argue though, that avocado toast is far superior to those foods, as it makes an amazing dinner as well. 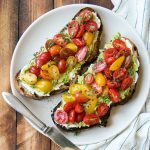 Even though I call it loaded Avocado Toast, this beautiful recipe is actually a tartine. 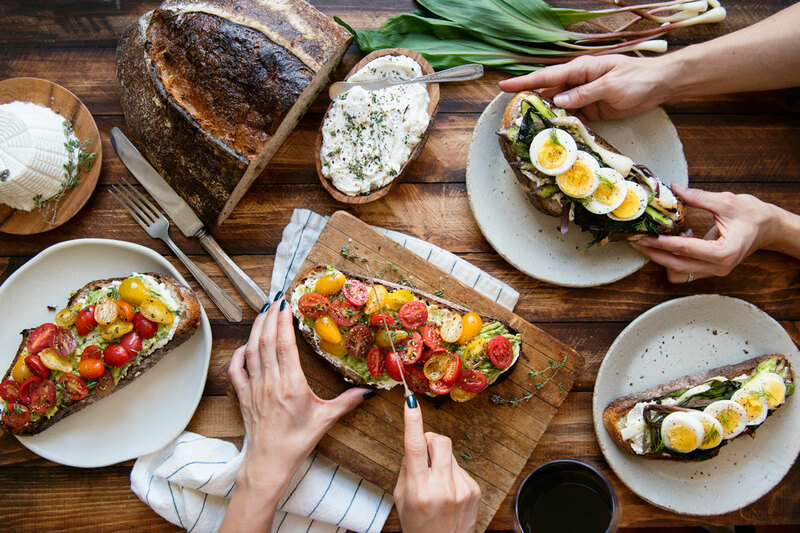 Tartine is a fancy name for an open-faced sandwich. Unlike bruschetta or crostini, tartines are an actual meal. They can be loaded with whatever your heart desires. In this case, my little heart desired avocados in the biggest way. Add in an unexpected pinch of thyme, fresh tomatoes and ricotta, and breakfast for dinner has never tasted better. Another great thing about breakfast for dinner is that drinking wine is completely acceptable (encouraged?). One of the things I love about loving wine is that I’m always discovering new regions and varietals. The newest example of this is the Languedoc wine region in southern France. Surrounded by both mountains and sea, the region has an incredible array of microclimates and terroir, producing all styles of wines. Winemakers in this region champion Mediterranean varieties like Grenache, Syrah, Mourvedre and Carignan in their red blends, and others like Picpoul in the whites. As this is France’s largest wine region, with a number of appellations within, there is a blend and style for every palate! One of the most memorable aspects of the wines in this region is the presence of ‘garrigue‘. This is a French term for the ground cover of plants and herbs that grow wild throughout the area. Included in this are herbs like thyme, rosemary, and lavender. Many Languedoc wines show hints of these herbs on the nose, like this Château de Lascaux Carra AOP Pic Saint-Loup Rouge ‘Carra’ that I’m pairing with the tartine. The Pic Saint Loup appellation is located in the northeastern part of Languedoc, near the Rhone Valley. The Carra is made of 60% Syrah grapes and 40% Grenache grapes that are grown in soil rich in fractured limestone. This also lends the wine a lovely minerality that balances out the herbs nicely. Vinification for the Carra lasts for approximately 30 days and it ages for 14 months before bottling. It’s easy to drink, but it’s still complex enough for your toughest wine snob. It’s a great value for the approximately $18 price point. The region celebrates #LanguedocDay on May 26th, so there’s no better time to grab a glass and enjoy a hidden gem from Languedoc. With the amount of diversity of wines in the region, there’s something for everyone including roses and sparklers for celebrating the start of summer! 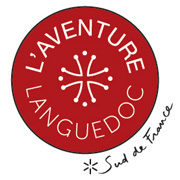 If you want to learn more about Languedoc wines, follow them on Instagram, Twitter or Facebook. 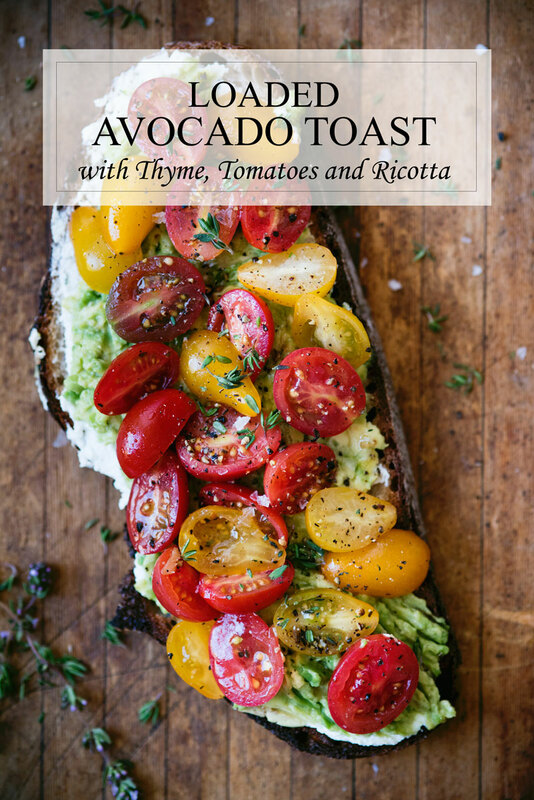 Avocado toast gets a hearty upgrade with the addition of thyme, tomatoes and ricotta cheese. 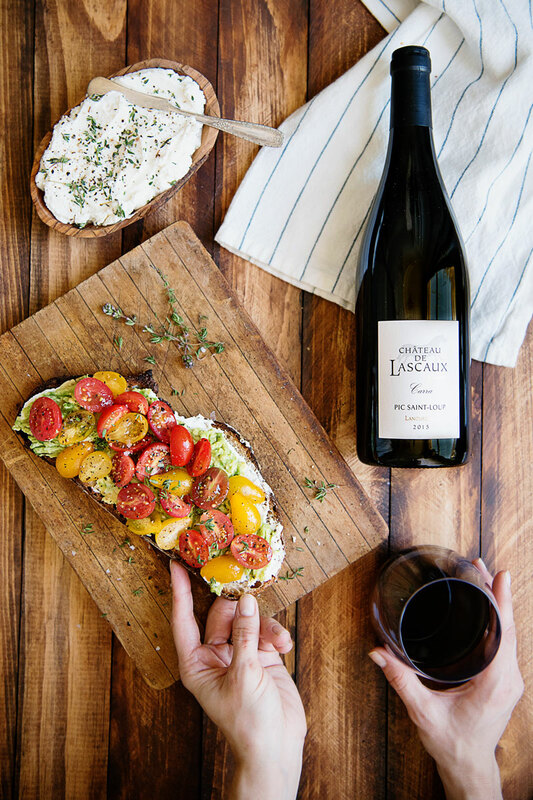 It’s easy to make and great for breakfast, or breakfast for dinner, especially when paired with Château de Lascaux Carra AOP Pic Saint-Loup wine from the Languedoc region in southern France. Toast bread lightly. To make toast in the oven, move a rack to the top slot in the oven and turn on the broiler. Place bread slices on a baking sheet and broil on one side for 2 minutes, then flip and broil on the other side for 1-2 minutes. Watch carefully as the bread will go from lightly toasted to blackened in the blink of an eye! Mix ricotta cheese with salt and pepper. Spread on toasted bread. Peel avocado and remove pit. Mash with the back of a fork until easily spreadable. Spread on top of ricotta cheese. Toss sliced tomatoes, fresh thyme, olive oil, salt and pepper in a medium bowl. Spoon onto avocado toast. This post is a collaboration with Languedoc wines. Wondering why I do sponsored posts? Read more here. Me too! I can never resist ordering it. This looks so delicious! I’d love this for lunch! I can eat it for any meal – especially if there’s wine! 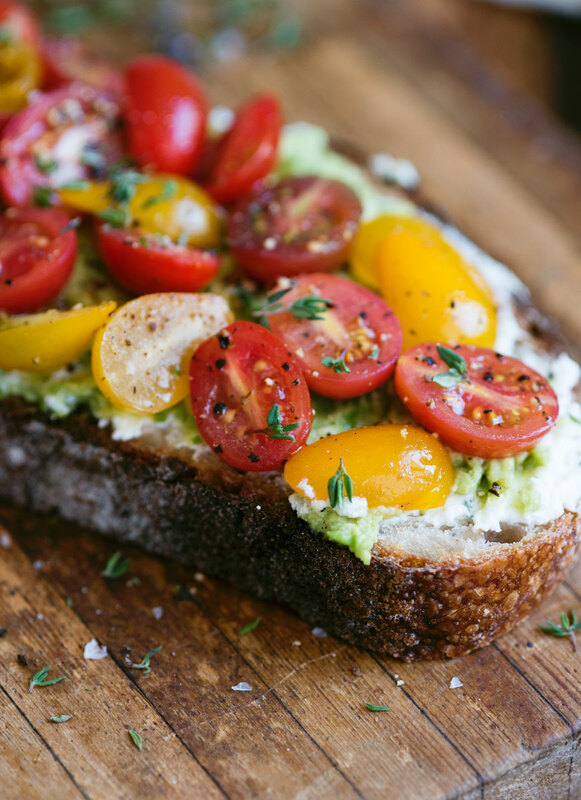 I have avocado toast almost every morning, but your version is so much better! Love the wine pairing, too! That looks sooooo good!! Seriously can’t think of anything I’d rather have right now for lunch! 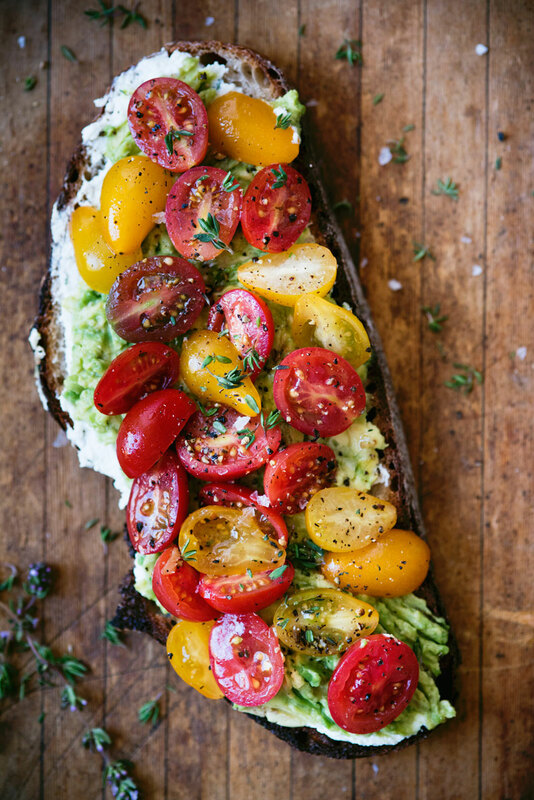 This is the most gorgeous avocado toast ever! Thanks so much! The tomatoes add such a nice pop of color I think! Oh my word, this looks amazing! I know what I’m using my garden tomatoes for when they finally ripen.